"A bright, colorful and very violent fighting game!" 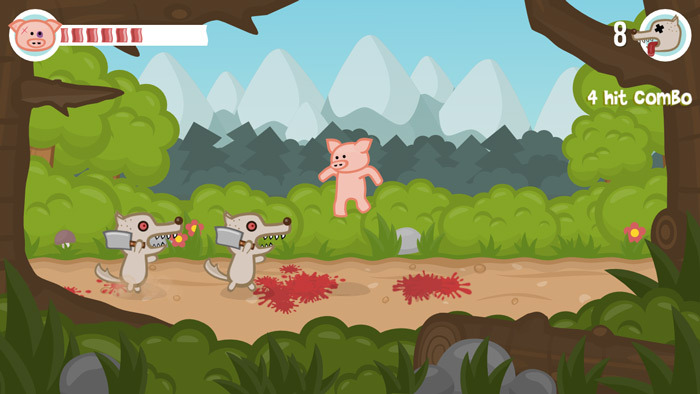 Iron Snout is a fun little cartoon style game where you play as a pig who is being attacked by a gang of weapon wielding wolves, something like one of three little pigs finally getting his revenge. 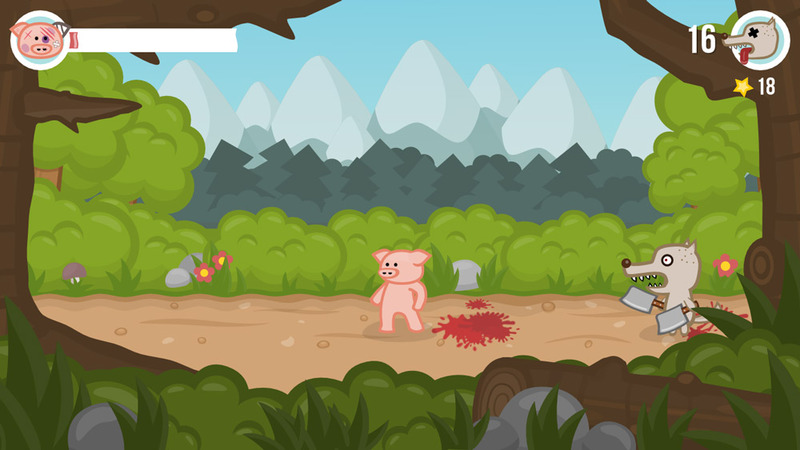 As the pig you can do a whole lot of different kung-fu style moves including flying kicks, backflips, and combination punches. The graphics look great and bright although is quite a contrast to actually how violent the game is, the wolves attack you with different weapons from carving knives to chainsaws and some of them even ride on huge fireworks! The more wolves that you kill the bigger weapons they will come at you with, they will also start to attack you in pairs or more so you will need to be constantly be improving your fighting skills. 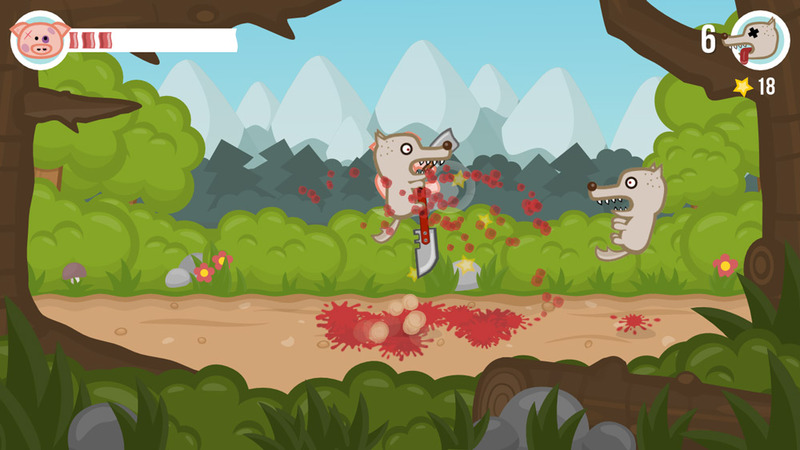 Iron Snout is fun for a while but it does have a tendency to become quite repetitive, however as free games go it’s pretty cool if you’re looking for something just to pass a few minutes although you do get to know how many wolves you have managed to defeat at the end and this does provide a reason to try and beat your high score and keep playing especially if you’re a perfectionist. You can download Iron Snout here for free.